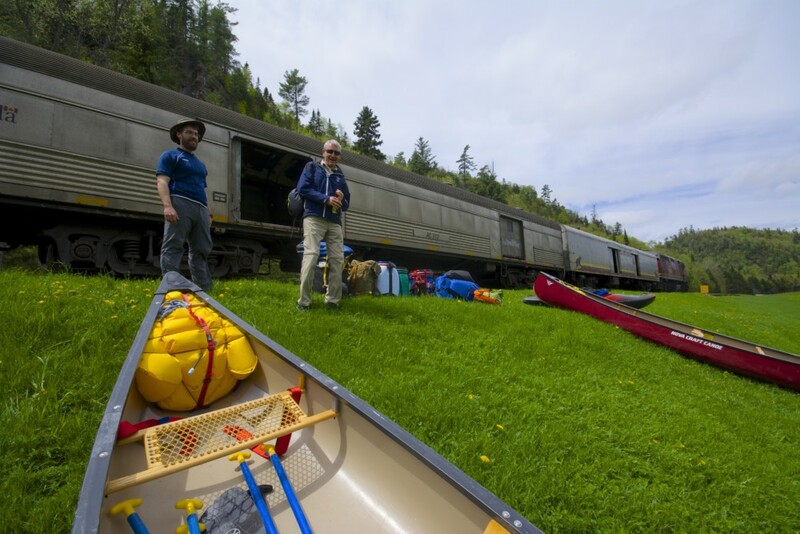 Pending start-up of the Algoma train passenger service. 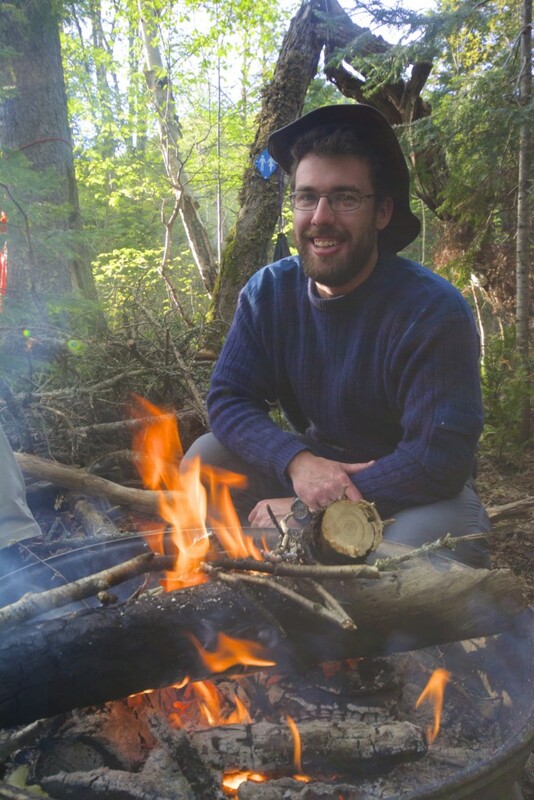 Full guiding and outfitting, canoes, meals, vehicle and train shuttles and park fees. Instead of camping on our beach, stay the Friday night at our Rock Island Lodge. We offer a reduced rate of $98 for our trip guests for accommodations around the trip. 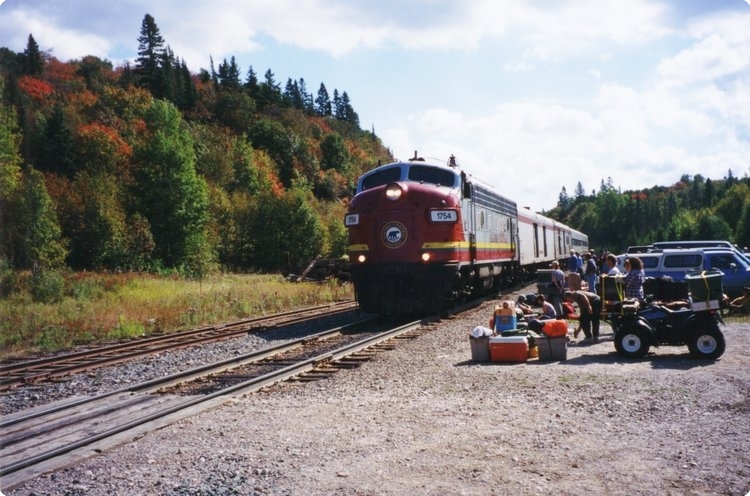 This trip is subject to continuation of the Algoma Passenger Rail service from Frater Station in Lake Superior Park to Agawa Canyon Station. If train service is cancelled, we will provide a full refund. 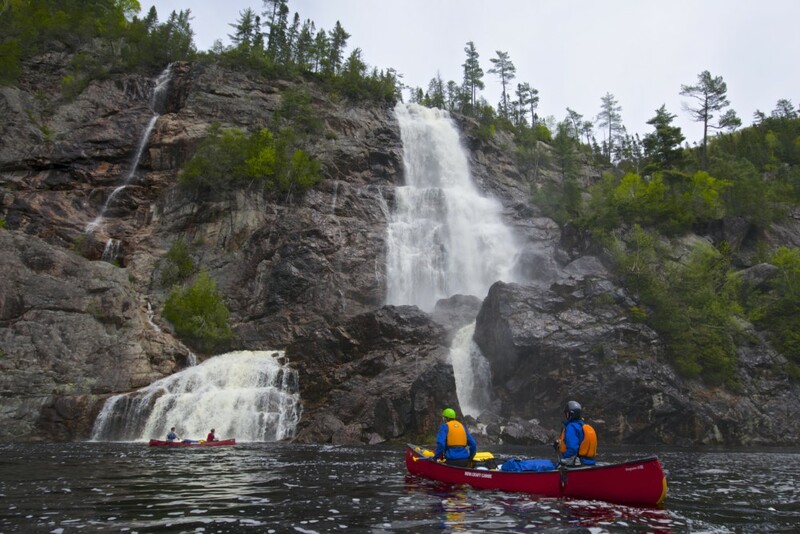 The most spectacular of Lake Superior’s rivers, the Agawa River flows 30 kilometres through a dramatic Canadian Shield landscape. 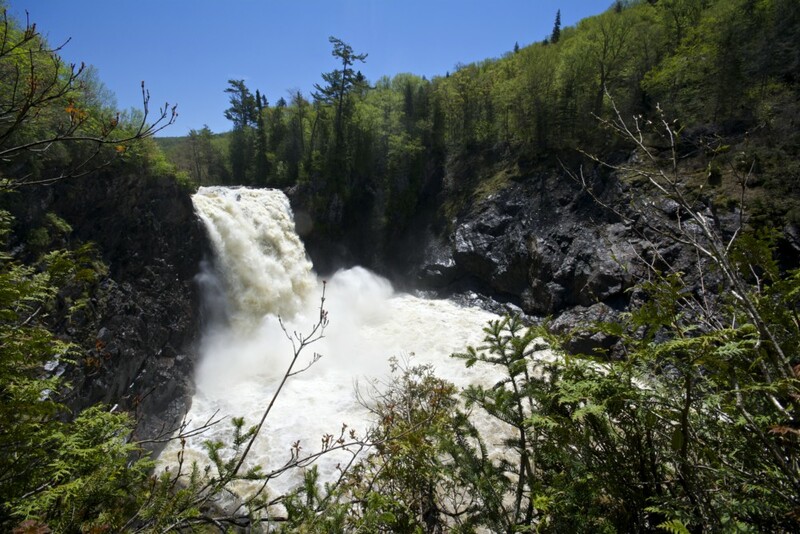 It provides nearly continuous whitewater, from easy to intermediate, interspersed with portages around waterfalls and canyon narrows. 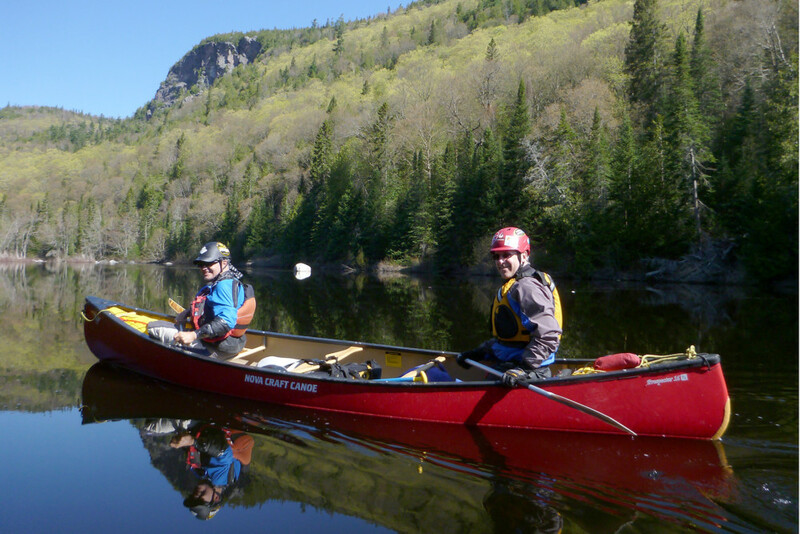 This guided and fully outfitted trip is designed for canoeists with good flatwater skills and some whitewater experience who are looking to become more competent moving water trippers. 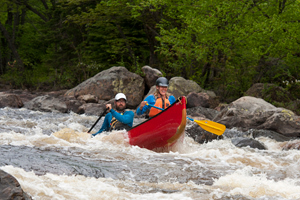 You’ll practice how to safely paddle a tandem canoe in moving water and enjoy some of the most scenic and historic paddling in Ontario. 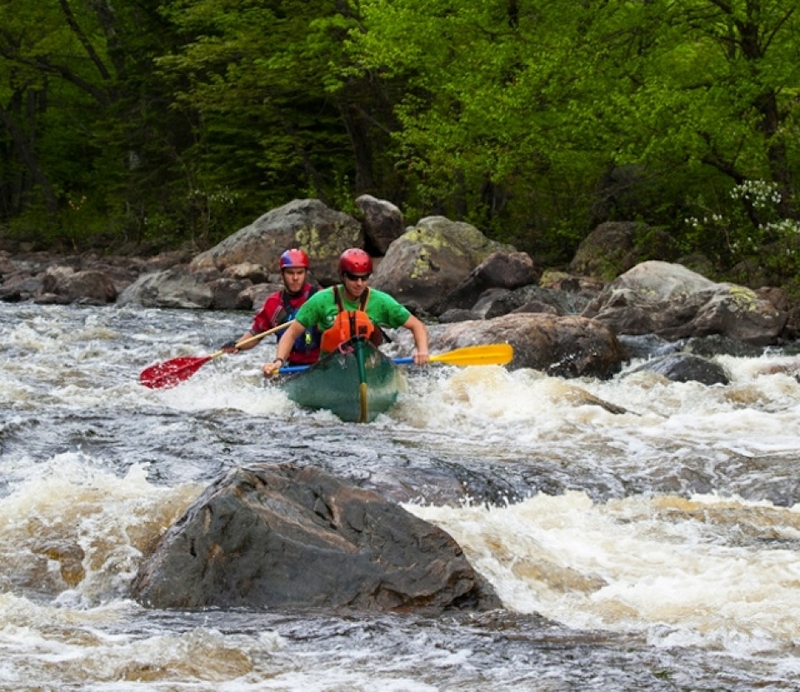 It’s also perfect for experienced whitewater paddlers wishing to practice skills in a spectacular environment. 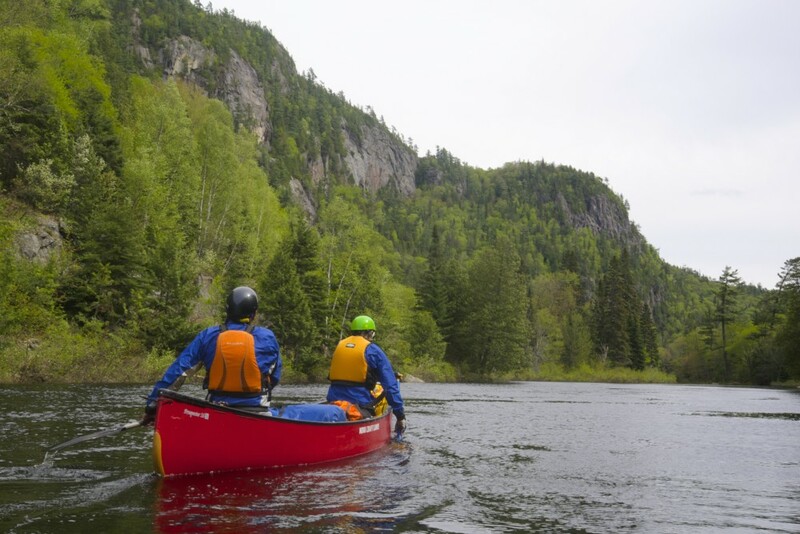 We begin on Friday afternoon with a group stroke review on the Michipicoten River near our Lake Superior paddling centre. 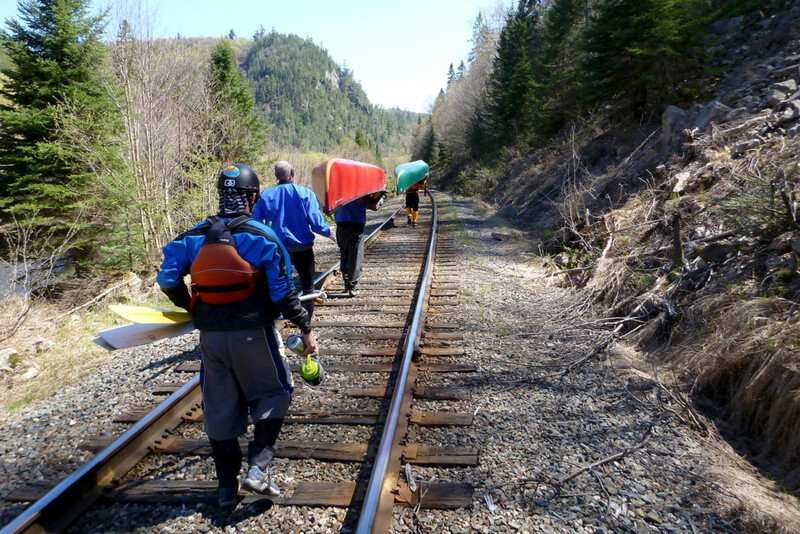 On Saturday morning, we catch the Algoma Central Railway, a historic line that once carried the Group of Seven and Bill Mason into the wilderness. 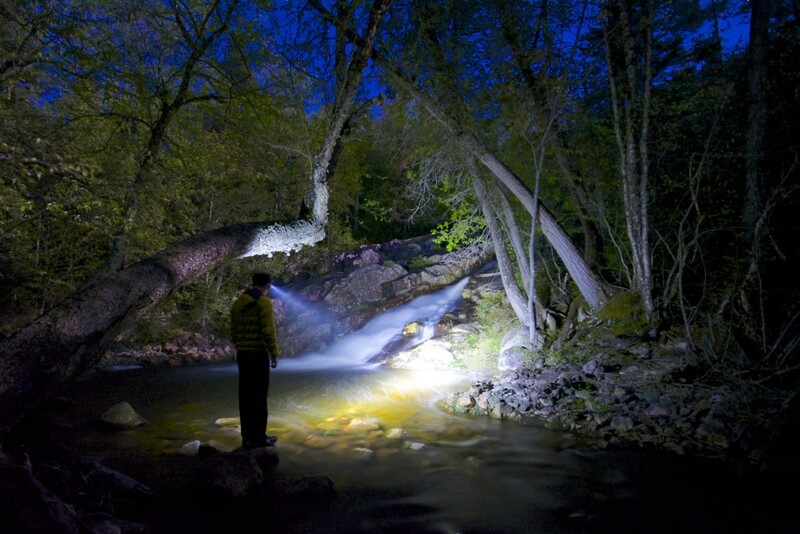 We’ll disembark at Canyon Station for two days of whitewater instruction and enjoyment. 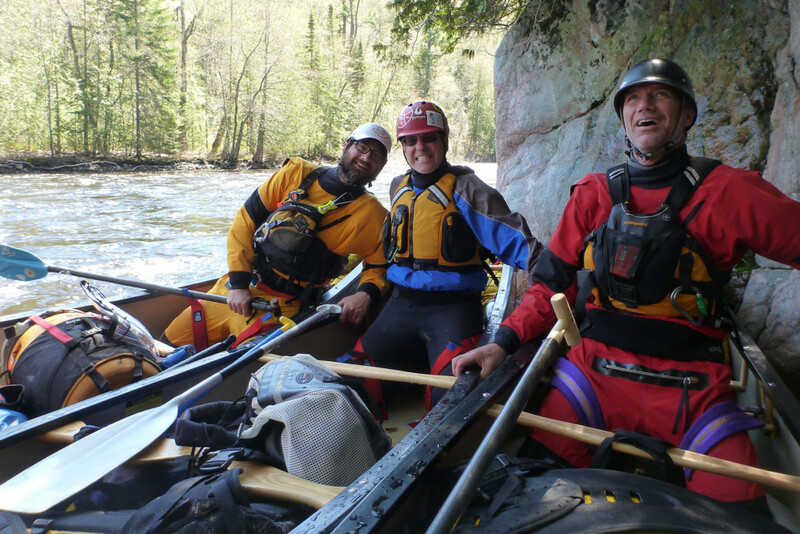 You will have plenty of time to learn how to read whitewater rapids and practice maneuvers like eddy turns and ferries under the watchful eye of your experienced guide. All rapids have portages for those looking for a less exciting adventure. Read more about the trip from Natalie’s Blog post at Algoma Kinniwabi or on our Lake Superior Goodness Blog.